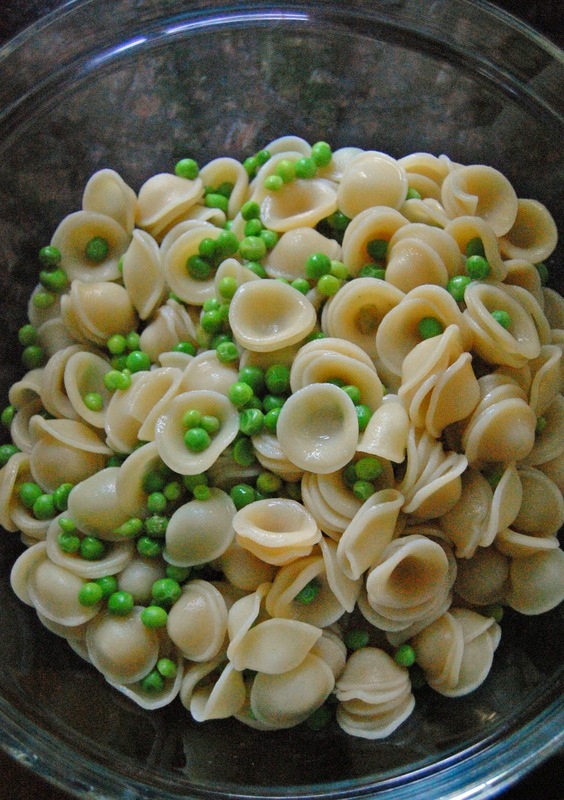 If, for some reason, I started a list of "most adorable foodstuffs," orecchiette would be near the top. They would place right above kiwiberries (kiwis about the size of a grape tomato, squee) and behind any cake frosted to look like an animal (particularly a monkey). Orecchiette means "little ears" in Italian, because of its vaguely ear-like shape. This utterly darling moniker gives it the clear edge over, say, the kumquat—sorry, kumquat, I'm digging your tiny fruit vibe (see above re: kiwiberries), but if you want to win this thing, try to put more effort in your name, 'm kay? But, my hope is that if we eat like spring is here, maybe it will take the hint. 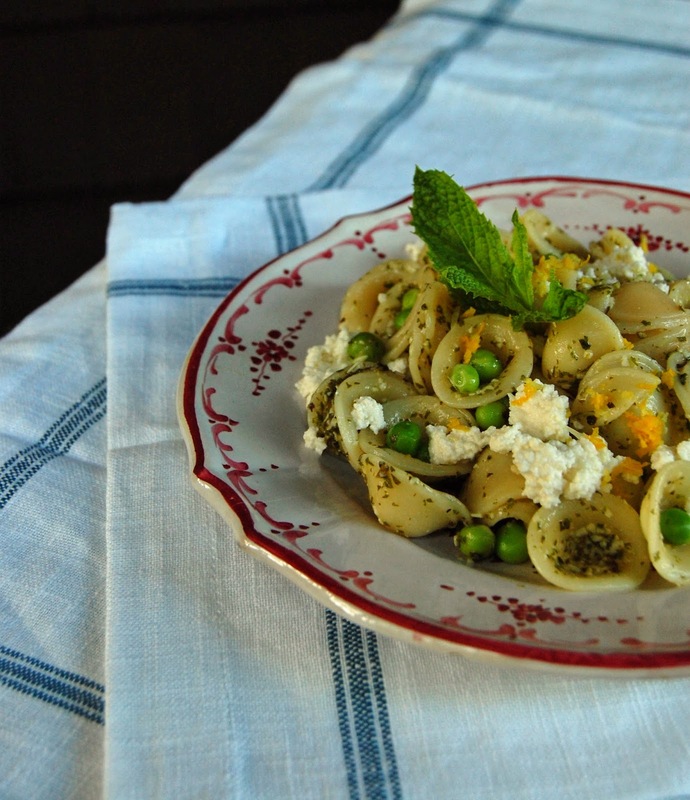 Mint and peas are a classic duo, and they bring a wonderful freshness to spring, when fresh peas are in season. 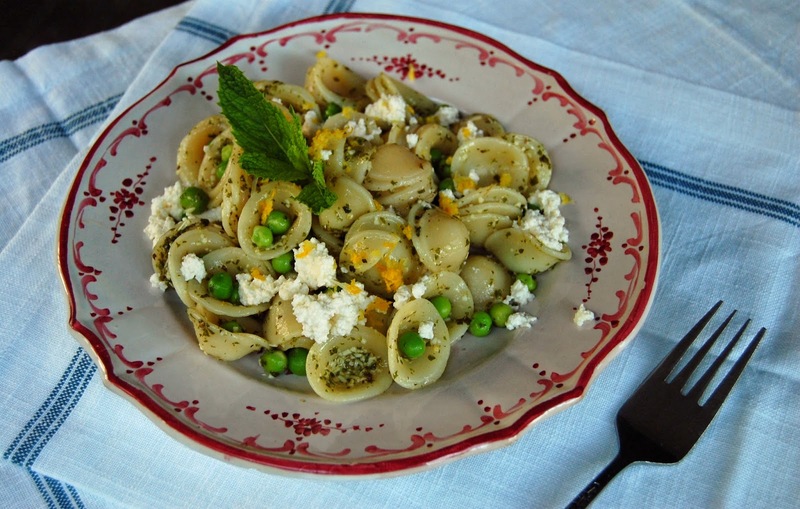 As for the pasta, well, orecchiette are fine with tomato sauce, but I really revel in tossing them with a pesto or a light cream sauce, and this dish kind of has both: a pesto with luscious pockets of creamy ricotta. The result is a pasta that feels bright and verdant, but with a hidden richness, and that's exactly what I want from spring. 1. Cook the pasta according to package directions, adding peas when the pasta has two minutes left to cook. Drain and rinse with cold water. 2. Meanwhile, add the mint, Parmesan cheese, lemon juice, salt, and pepper to a food processor and blend to combine. With the motor running, add the olive oil in a slow, even stream, and blend until smooth. Toss pesto with the pasta. 3. Add the ricotta cheese to the pasta and mix gently. Don't overmix; finding little pockets of ricotta among your little ears is a wonderful surprise. Garnish with lemon zest.